Synopsis: Atomic City is a meditation on the town of Arco, Idaho, the first city in the world lit electrically with atomic power. On July 17th, 1955 an experimental reactor lit the town’s lights for just over an hour in the middle of the night. This moment in time is celebrated yearly at Atomic Days, which includes a ping pong ball drop, parade down Main Street and an all-class reunion. Arco used to be on the glowing edge of a future filled with clean energy, jobs and unlimited growth, but this vision of the future never materialized. Today Arco’s peaceful nuclear heritage has been overshadowed by disasters like Three-Mile Island, Chernobyl, and Fukushima. 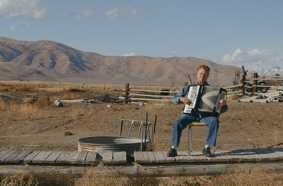 60 years later, Arco is a town of under 1000 residents, struggling to survive. Director's Statement: "I was surprised to learn that the lighting of the town in 1955 by an experimental reactor only lasted a few hours, and I became intrigued by the way the people of Arco chose to identify with the promise of a moment that seems unfulfilled in our modern nuclear climate. Observing additional themes of identity, disillusionment and loss on an individual level, I left wondering how place shapes our collective identity and how our collective identity informs our individuality. My goal with ATOMIC CITY was to explore these questions through a poetic, melancholy portrait, with references to astrocartography and collective mythologies, in order to provide a glimpse into a place lost in time yet full of archetypal depth and dignity."